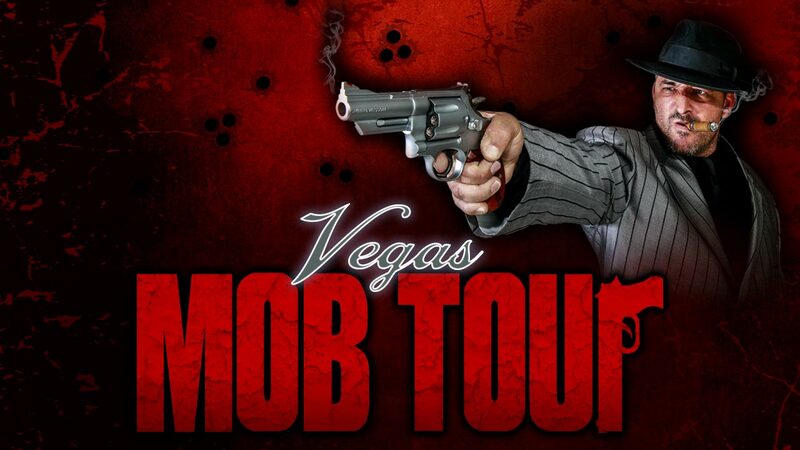 Vegas Mob Tour shows and tells all the inside scoop on the infamous goings on of Sin City’s mobbed up past. The secrets of the infamous Mafia presence in Vegas have spilled like blood all over town. Run by Vegas Specialty Tours, the Vegas Mob Tour is where you’re going to hear the legendary stories about the wild times of the mob. Back in the day you may not have made it out of town safely if you crossed paths with any of the notorious members of the Vegas underworld. In fact, you might have ended up in one of those “holes” out there in the desert, if you know what I mean. Mafia movies come to life in this weird and wild tour that takes you through mob history dating back to the beginning of Vegas in the 1940’s all the way up until the late 1980’s, at the peak of it all. The lowdown on this legendary underworld is brought to the light of day where you will hear about off-the-chart burglaries, high-stakes murders, car bombings and all sorts of seedy organized criminal activities that are unbelievable… yet true. Back then, it was a wild time in the West where it was no longer ‘Cowboys and Indians’ but had instead swelled into a ruthless game between the authorities of the law and the made-men of the mafia who battled it in a turf war. Fans of the famous movie, ‘Casino’ will be thrilled, as you get to see the house where a part of the movie was filmed. You’ll also make a pit stop along the way at a famed hangout location of local mafia where you’ll be treated to complimentary pizza pie. Your guides know a lot about this stuff, in fact, you may not want to even ask them how, just trust that they have their ways, if you know what I mean. For the Vegas Mob Tour, Vegas Specialty Tours has procured special access to surveillance images from the Federal Bureau of Investigation including some video footage that will prove the legends are true. Don’t be mistaken, this is not some cheesy fake tour. No way, Jose. This is a carefully researched, substantiated and curated one-of-a-kind experience endorsed by an ex-FBI agent, a former hit man and also by a historian on this subject matter. This tour packs a lot in at 2 ½ hours and may just change the way you think about Vegas forever.